ChooseChicago welcomed 55.2 million visitors in 2017, a new record for the city and a 2.5 per cent increase from 2016. Expanded airport renovations, a continued hotel boom, new dining options and more are just a few reasons to take a glimpse of what’s new and happening in Chicago this Spring and Summer. Visit www.ChooseChicago.com for more information. 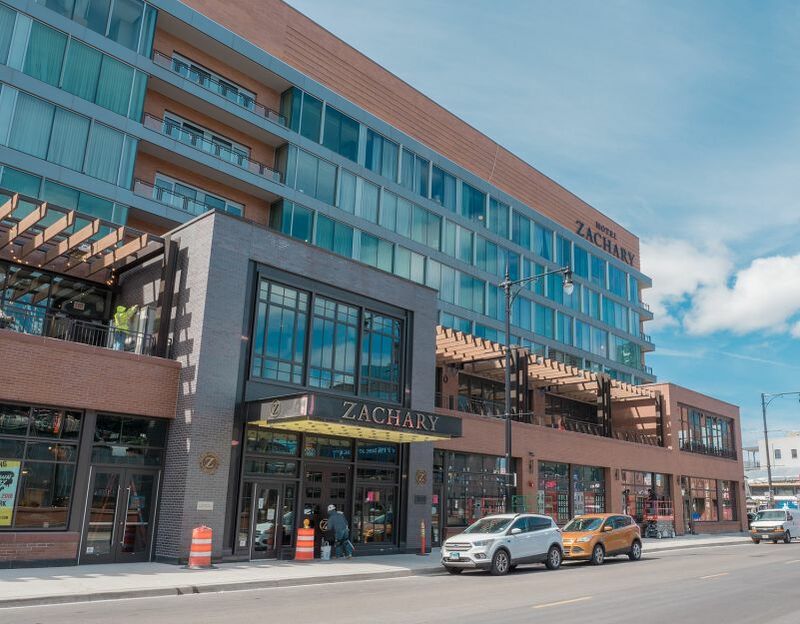 Hotel Zachary, a 173-room boutique hotel located in iconic Wrigleyville, the heart of Chicago’s Lakeview neighbourhood, opened March 30, 2018. The hotel is inspired by the designs of world-renowned Wrigley Field architect and Chicagoan Zachary Taylor Davis. Moxy Hotels will debut its first property in Chicago in May 2018, boldly reinventing the lifestyle hotel experience in the Windy City. Moxy Chicago Downtown will welcome guests with its locally inspired contemporary design, industrial chic style and buzzing social scene. Designed as a luxury-lifestyle, four-diamond property engineered to achieve LEED Silver certification, SOPHY Hyde Park, opening Summer 2018, is a 98-room hotel under construction in Chicago’s historic Hyde Park neighbourhood. SOPHY is near the site of the future Barack Obama Presidential Library. Opening Summer 2018, St. Jane Chicago will be the common ground for uncommon people embracing the arts and culture that defines Chicago. The 363-room property brings together eclectic styles with one-of-a-kind furnishings and playful framed art. The former 1916 Atlantic Bank Building on Michigan Avenue is currently undergoing renovation, with the goal of reopening as the Hotel Julian in Fall 2018. The hotel is named for St. Julian Hospitaller, the patron saint of hospitality and innkeepers. Construction is under way for The Hoxton hotel in the Fulton Market District, expected to be completed in 2019. The Chicago branch of the London-based Hoxton brand will stand at 11 stories tall with 175 rooms. Boka Restaurant Group will open a restaurant and bar in the hotel. Chicago Architecture Centre will be home to an unparalleled range of architectural experiences. The dramatic new space, behind a 40-foot-tall curtain of glass, looks out on some of Chicago’s most iconic buildings. 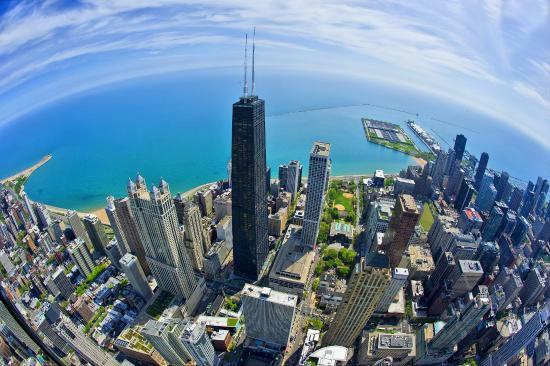 On April 1, 2018, 360 CHICAGO Observation Deck launched 360 ChiSeries. Home of the TILT thrill ride, 360 CHICAGO has developed a line-up of complimentary activities for those purchasing a general admission ticket (with the exception of 360 Sky Yoga Saturdays). 360 ChiSeries includes a wide range of activities that include 360 Sky Art, 360 Sky Yoga, 360 Sunday Funday and more. Bobby’s Bike Hike, Chicago’s top-rated tour company for biking, walking and food tours, is proud to kick off its 16th season and introduce the “Electric Bikes @ Night Tour” featuring a new fleet of E-bikes. Chicago’s first Electric Bike tour rolls out Saturday nights beginning April 2018. Starting in April 2018, Chicago Detours will debut its new “Fulton Market Factories, Galleries and Calories Food Tour.” Guests will get a glimpse of this booming neighbourhood’s meatpacking past and enjoy a taste of its gourmand present on a one-mile jaunt through Fulton Market. The Royal Palms Shuffleboard Club opened on March 29, 2018 in a 20,000-sq.-ft. sun-drenched oasis. This space in Bucktown features 11 gleaming, regulation-sized, cruise ship style shuffleboard courts, tropical cocktails, flamingo-flocked bathrooms, a rotating cast of indoor food trucks, a roof deck, 45-spinning DJ’s and oversized board games. The James Beard Foundation Awards, dubbed “the Oscars of the food world” by Time magazine, celebrates the best and brightest culinary professionals in America. Chicago is incredibly proud to host the nation’s preeminent honours Monday May 7, 2018. Chicago has 14 James Beard Award finalists and more than 130 restaurants will celebrate James Beard’s culinary legacy and Chicago’s vibrant food scene from April 27 to May 7, 2018, during James Beard Eats Week. Punch Bowl Social opened its 30,000-sq.-ft., award-winning “eat, drink, play” concept in Chicago’s West Loop neighbourhood. 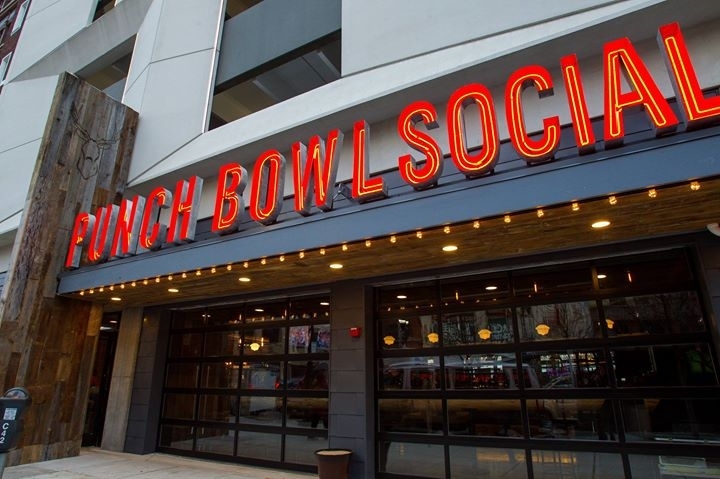 Located within the area’s Fulton Market District, Punch Bowl Social pairs made-from-scratch dishes and craft beverages with social activities like shuffleboard, Ping-Pong, marbles, 80’s video games, bowling, virtual reality and skee-ball. Mayor Rahm Emanuel and the Chicago Department of Cultural Affairs and Special Events (DCASE) announced the dates for Millennium Park’s 2018 summer season (May through September). Millennium Park will offer traditional favourites like the Chicago House Music Festival, Chicago Gospel Music Festival, Chicago Blues Festival, Summer Music Series, Summer Film Series and SummerDance Celebration, in addition to dozens of free concerts, events, family activities and more. The Museum of Contemporary Art’s I Was Raised on the Internet explores how digital technology has changed how we see and experience the world. Focusing on art from 1998 to the present, the exhibition centers around a number of themes that examine how new forms of identity and selfhood have been enabled by digital networks. The exhibition runs June 23 to October 14, 2018. Visitors can learn about the filmmaking process through hands-on activities inspired by some of Pixar’s most treasured films, from Toy Story to Inside Out during The Science Behind Pixar, opening at the Museum of Science and Industry (MSI) on May 24, 2018 through January 6, 2019. This May, Shedd Aquarium will celebrate the diverse and vibrant beauty of marine life through the opening of its latest special exhibit – Underwater Beauty. Featuring thousands of animals representing 100 species, Underwater Beauty promises to be the aquarium’s most diverse special exhibit in its 88-year history. The exhibit opens May 25, 2018 and will run for a limited time. In the first rock ‘n’ roll performances of its production history, Lyric Opera of Chicago presents Andrew Lloyd Webber’s iconic rock opera Jesus Christ Superstar, April 27 to May 20, 2018 at the Lyric Opera House. The Cher Show, the new musical based on the life and six-decade career of the iconic singer and actress, will have its pre-Broadway world premiere in Chicago at Broadway In Chicago’s Oriental Theatre, beginning June 12, 2018 through July 15, 2018. Chicago Magic Lounge, opened its new home at 5050 N. Clark St. on February 22, 2018. The renovated theater ushers in a new wave of entertainment, bringing back “Chicago Style Magic”. The 7,200-sq.-ft. building is an art deco-style magic lounge featuring secret entrances, a performance bar, a 119-seat cabaret theater and a close-up performance room, the 645 Club. As the birthplace of modern blues, The Chicago Blues Experience, opening in 2019 near Millennium Park, will be filled with history-driven interactive displays, tributes to local legends and Chicago blues memorabilia as well as a performance lounge and restaurant. Laver Cup – a tennis competition in which six leading European players go up against competitors from the rest of the world. The tournament will take place September 21-23, 2018. Held in Prague last year, Chicago will be the ﬁrst U.S. city to hold the Laver Cup. Mayor Rahm Emanuel has announced the city’s eight-year plan to expand O’Hare International Airport – the largest and most expensive revamp in the airport’s history. Through a new capital program valued at more than $8.5 billion, O’Hare’s facilities will receive a major upgrade. With construction to begin in 2019, the transformation is expected to be completed in 2026. The Chicago Department of Aviation is also overseeing major modernization at Midway International Airport. The nearly $400 million modernization program is underway and is set to be completed by Summer 2020.